Accommodating a standard automotive fuse, the A9 Series standard automotive relay offers switching capacity up to 40A. 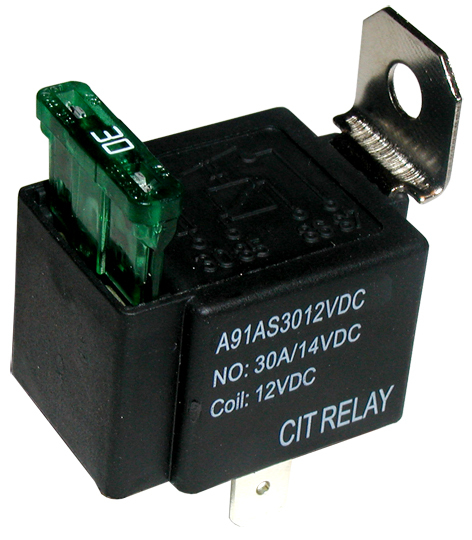 With a metal mounting tab, the quick connect relay offers 1A contact arrangement with coil voltage of 12VDC or 24VDC with coil power of 1.8W. Dimensions are 35.5 x 25.5 x 21.0.